I’ve never had this problem before but got the baby Cali king from a local petstore he’s active,eating weekly,defecating,drink you name it but he came with a minor scale problem on his under belly. It doesn’t look serious no swelling,blister, bumps,bleeding nothing. It looks as if it healed and maybe a little old idk know but its only one 3 scale endings one in the middle that’s a little noticeable then two at the lower belly that isn’t really noticeable. Any help will be thankful... I never had this problem so I don’t know how to treat it and he can’t see a vet because I don’t get paid until the next 2 weeks. His care is on point he’s in a 10 gal with correct temps with low humidity,dry substrate that he burrows in,clean water daily,feeding on pinkies 2x weekly. Other than this he’s pretty healthy. ... then allow to heal normal. He never went inside the humid hide lol he went under it but after his shed it looks like its disappearing little by little so I’m guessing its healed. Thank you for your help. right before he sheds rub him down with the tea tree oil for reps and their habitats. also make sure your substrate is dry. 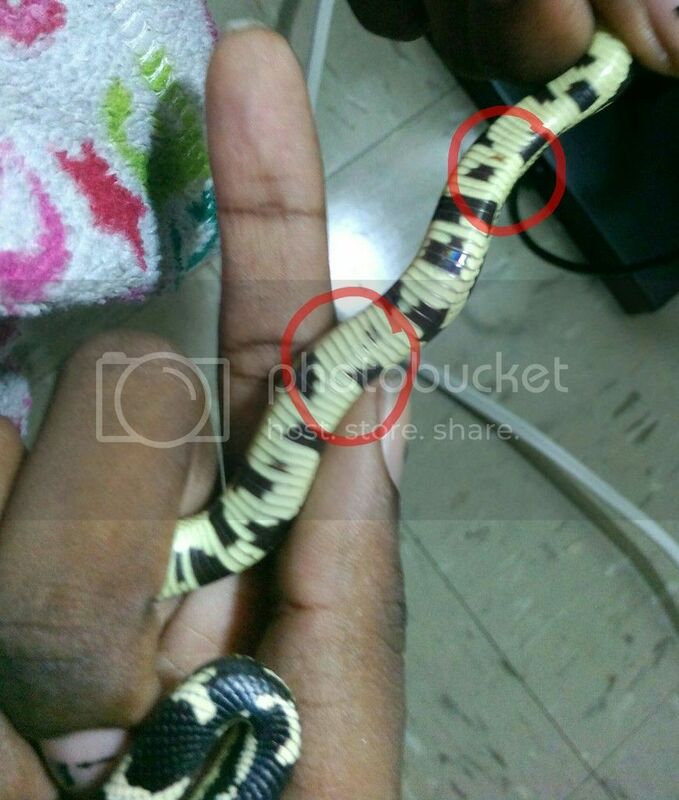 oh and king snakes get lung problems when they cant stretch all the way out so make sure the habitat is long enough for your snake to stretch out as he grows. the oil you can buy at the pet store. doesn’t look like a worry for now just keep n eye on it and the dry substrate is very important in hibernation season. Also if you are using a heating rock they can sometimes burn you snake and it looks a lot like what’s going on with your snake. I hope this helps. Thank you for responding. He had a clean shed and the spot is becoming duller/lighter. His substrate stays dry with low humidity because I only spray lightly once every few days. He’s 15in. in a 10gal tank and he still has room to fully stretch, I am getting a 30gal for my cinnamon bp and moving him to the 20gal. I never used heating rocks those are a no go for me I only use heating lamps for my reptiles. 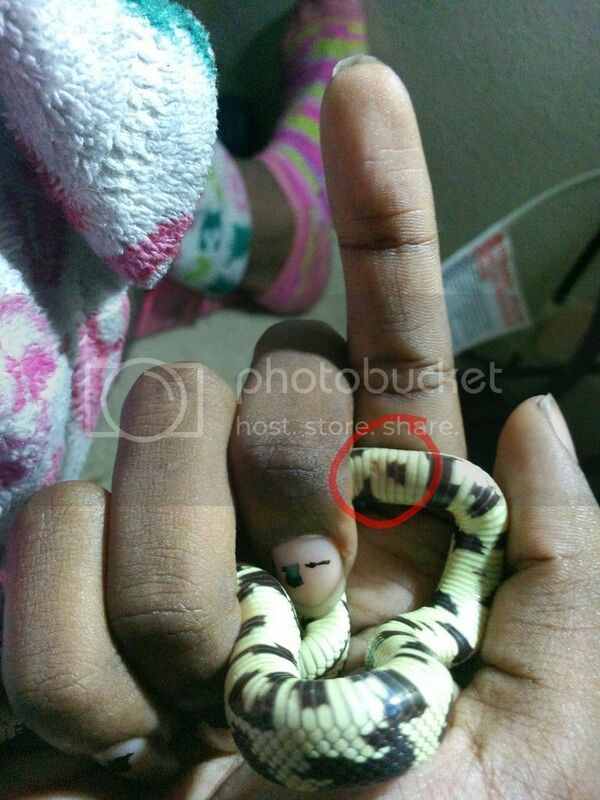 I read about their lungs on some site long ago that’s why they can’t live in small cages like some other snakes could. But despite the mark when I first got him he ate every week. But my room stays warm because the heat and it makes my Cali king and bp temps raise higher than what their suppose to can I just keep the lights off its stays in the low to mid 80’s??? if you are using heat lamps make sure they are well off the mesh top if that is what you have I learned the hard way. if you are doing a full hibernation period than the king will need darkness for however long the days get when they are hibernating. 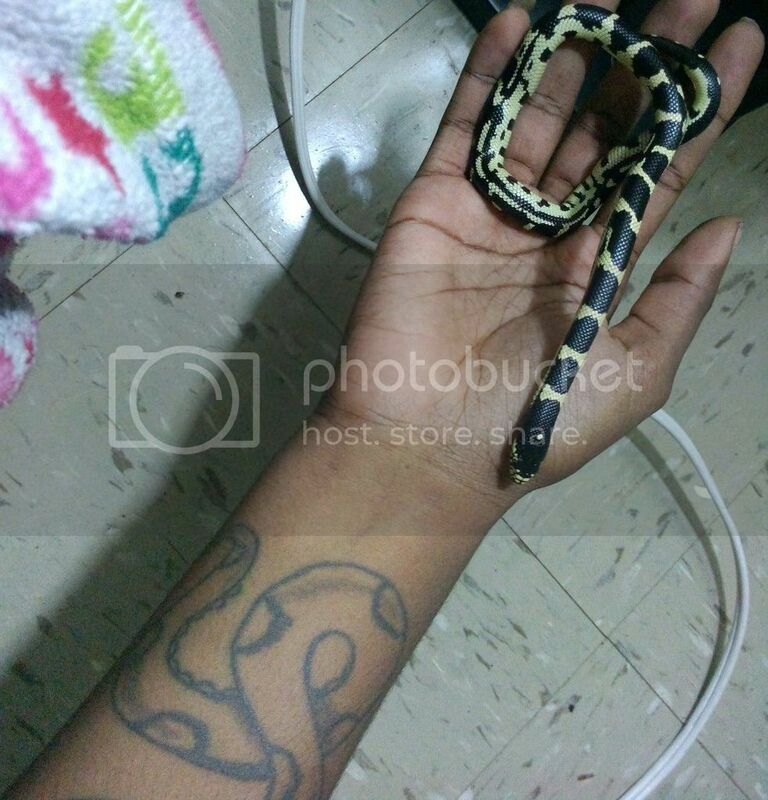 I don’t handle my snakes in the winter except if the cage needs a clean. the lung problem comes from the way their lungs have adapted to be long and tubular and they run for the majority of the snakes body.